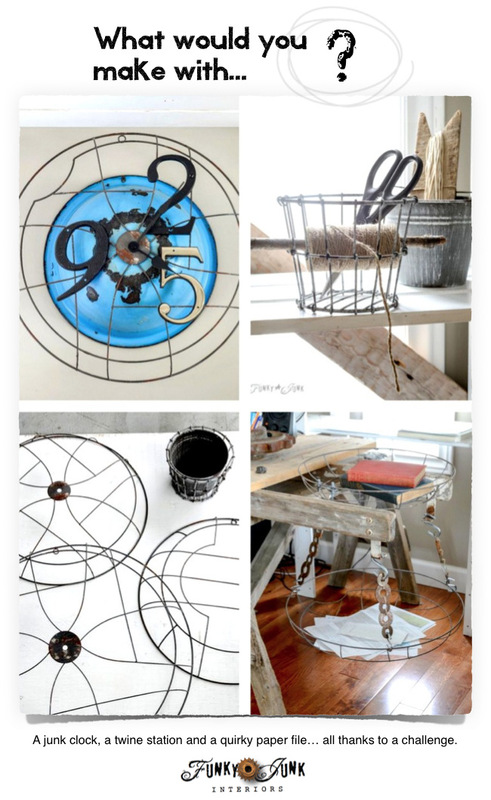 A junk styled file sorter, quirky clock, and cool twine station. If you’ve just arrived from In My Own Style, welcome! And our assignment was to create something with it. Fun! 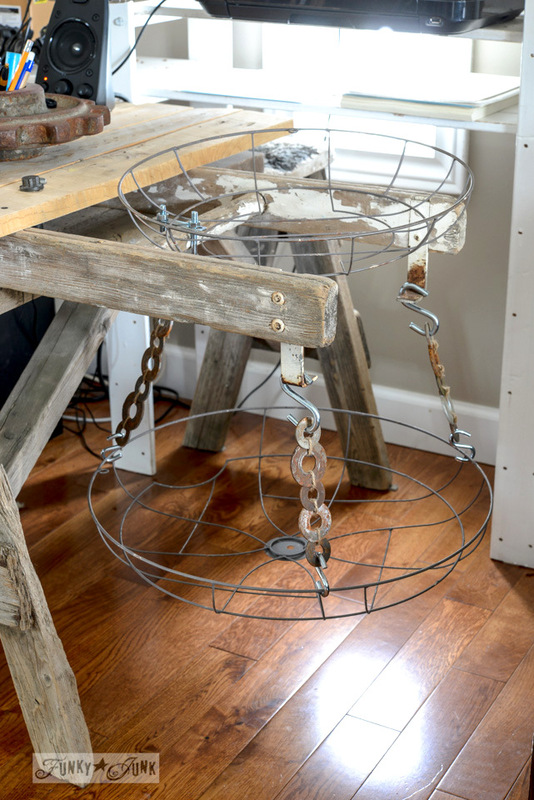 I was challenged to come up with a project for these ultra cool metal vintage reproduction fan grills and the adorable 2 piece milk crate inspired pot. Then my head exploded. I honestly could think of a million and one ideas! 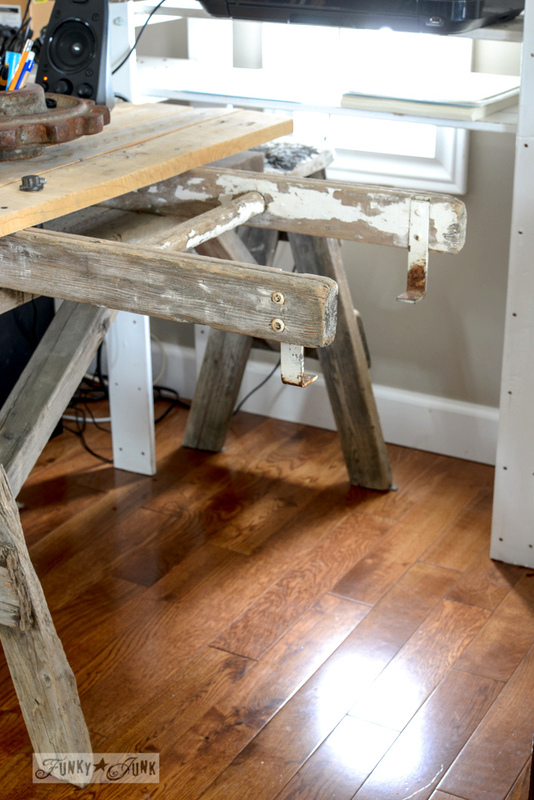 So I made 3 things for my blog office. Can you spot them through all that delicious junk? 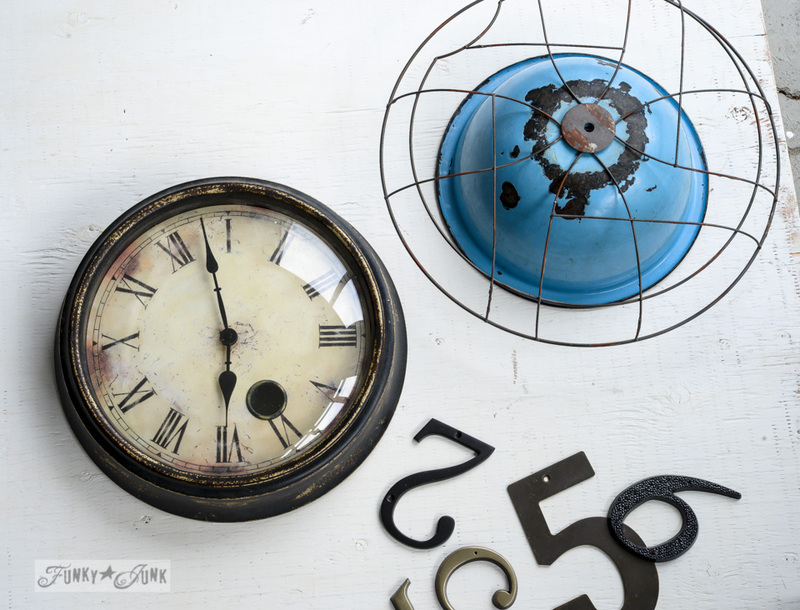 Look for a junk styled file sorter, quirky clock, and cool twine station… because here we go! 1. 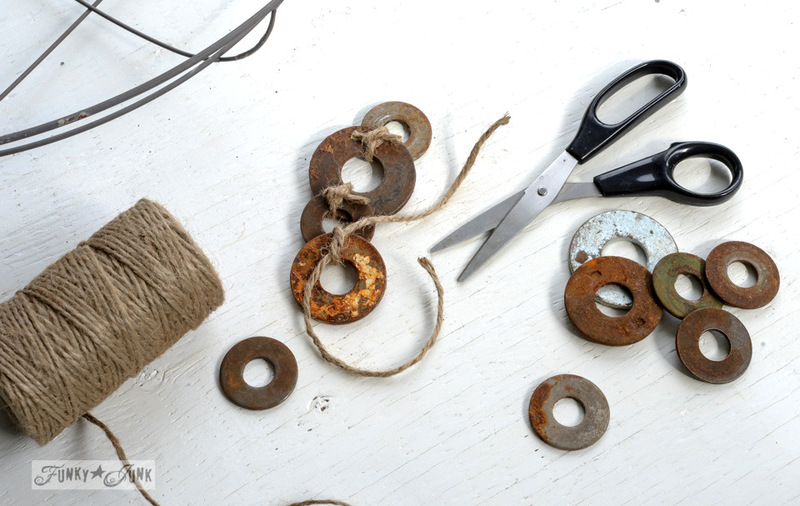 Slightly overlap washers of various sizes (stagger them), then double knot with twine. Trim very short. 2. 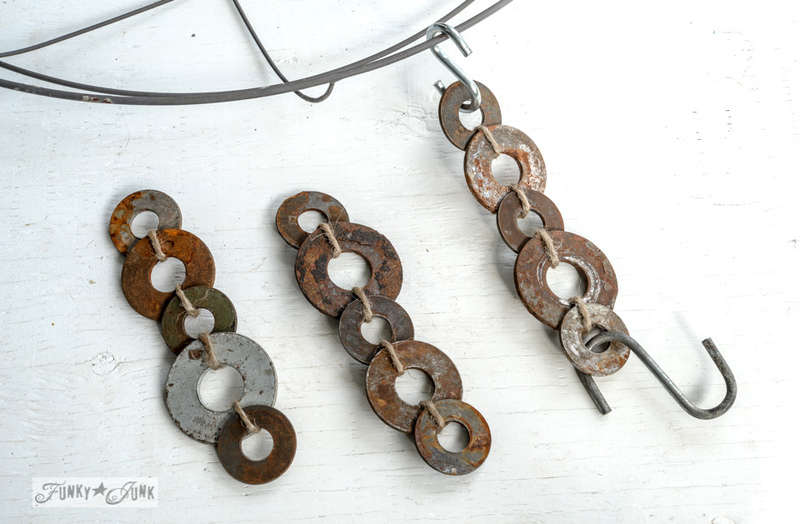 String S hooks through your ‘washer chains’. 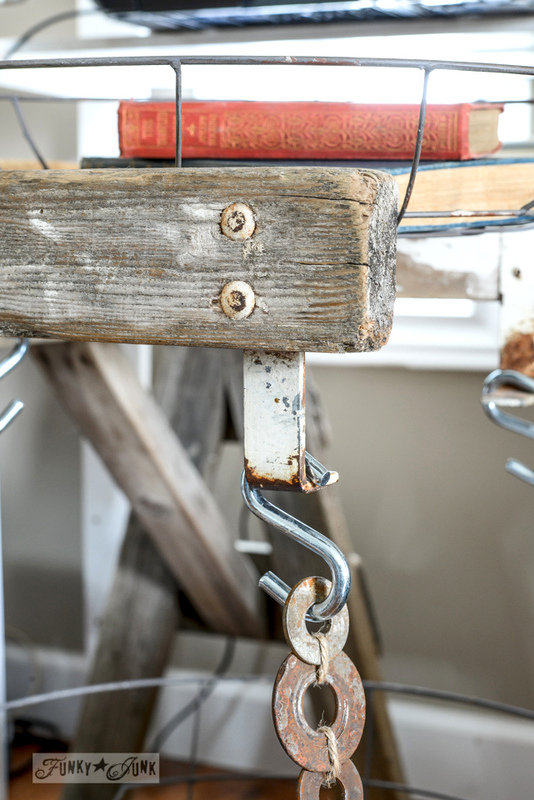 The S hooks make it a breeze to unhook the baskets, should you desire to walk downstairs to an office to file them later… like I do. Tsk tsk… such a vast wasteland of valuable space. Let’s fix that! I know… brings a tear to the eye, no? That filled up a little too fast… I’d better pay those bills. See? It works! 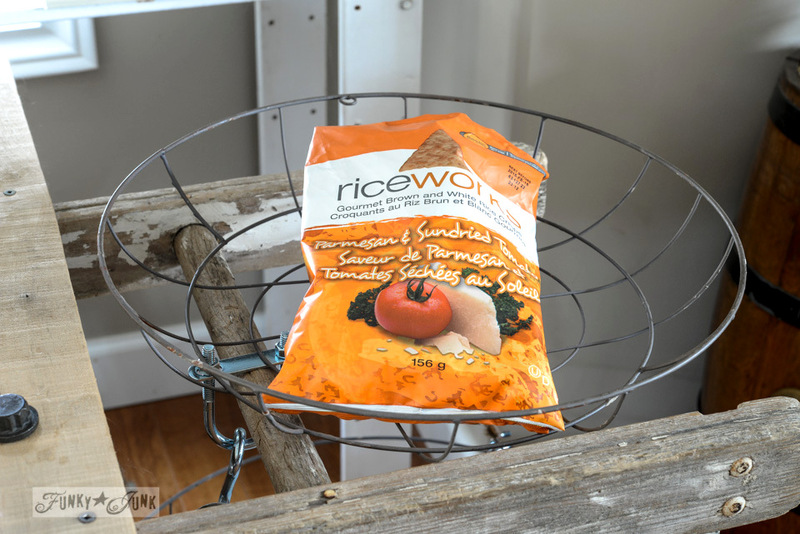 The top tray sits completely loose so you can easily cart it off to wherever you need to go. 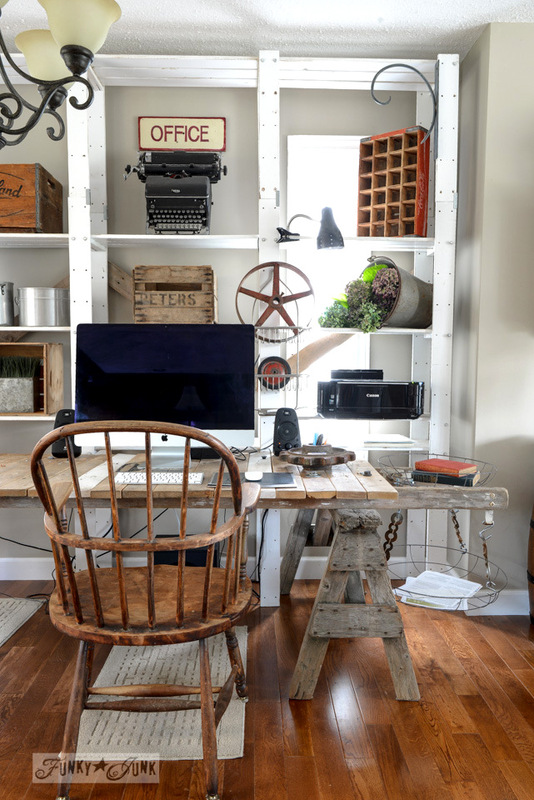 And it’s just quirky enough to go with the rest of the… existing office quirk. Gasp… I can see my desk top. ‘Beyond quirk’ would best describe this weird yet funky clock. It’s got a little industrial edge slathered on heavy with junk factor. I’ve always wanted to build my own junk clock. And this fan grill put me in mind of the vintage caged versions. So here’s my take on a junk styled one. 1. 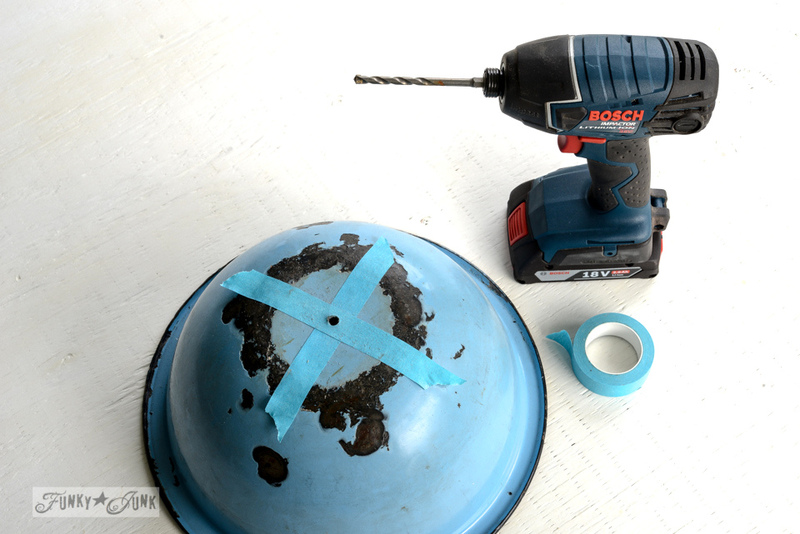 Masking tape an x to the bottom of the bowl, to mark the centre and also so the drill bit doesn’t slip on you. 3. Insert the clock workings (new or used like mine) through the holes of the bowl and the grill, then end with the hands. 4. 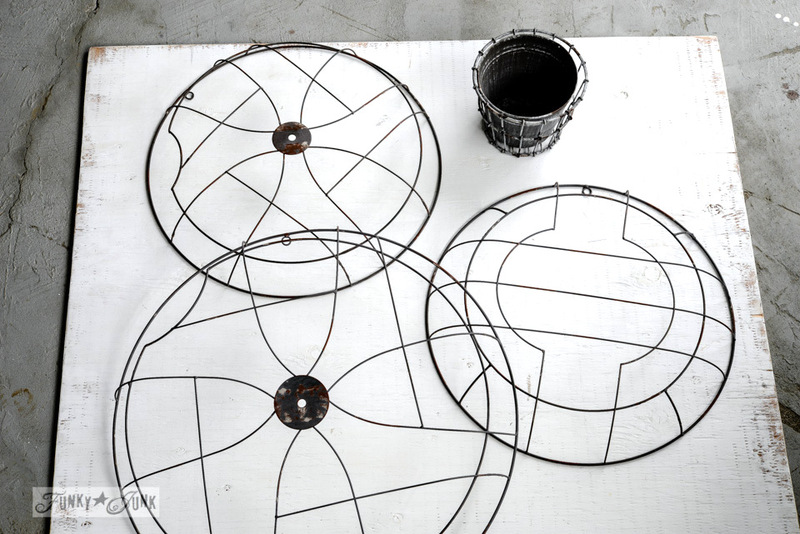 Glue the grill to the bowl, and house numbers to the grill with a metal friendly glue. Allow to set. 5. Bend the clock hands ‘towards you’ so they bypass the house number’s bumpy profiles. This adorable two piece milk crate inspired pot is the cutest thing! I love the fact that you can use them together or separate. I chose separate… to create a twine station. I’m a twine-aholic and love my string too. I just seem to use it for everything, so I love it within SUUUPER easy grasp. 1. 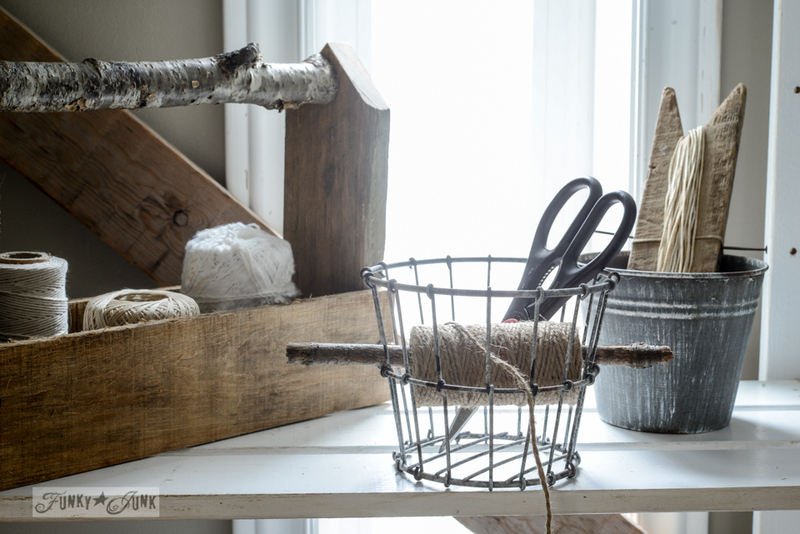 Insert a small branch through a roll of twine, using the caged basket sides for support. 2. Go use your twine, because you are DONE. 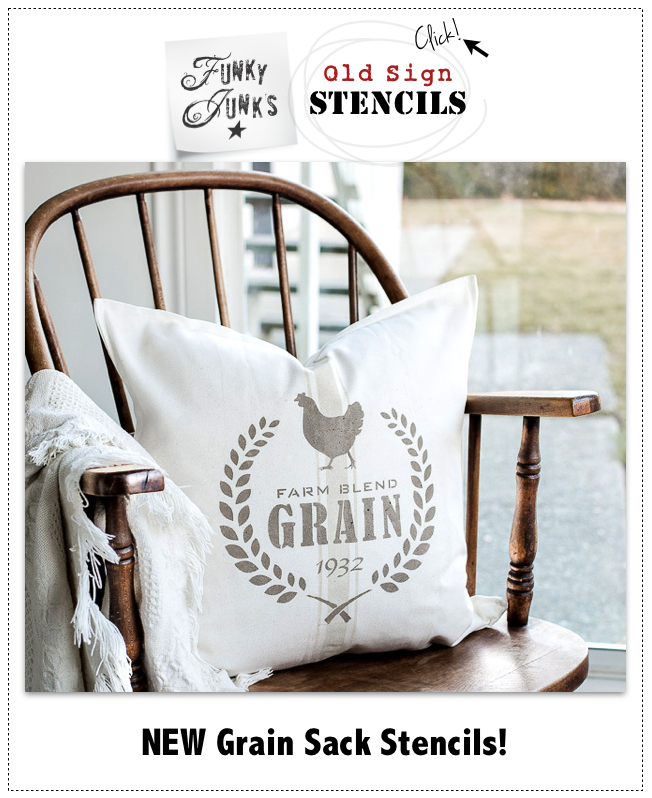 I’d be happy to take about 50 of these sweet galvanized things off The Painted Fox’s hands… they are so stinkin’ cute! 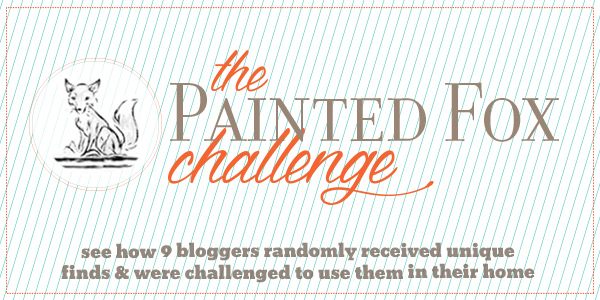 Thank-you to The Painted Fox… I LOVED this challenge, and cannot wait to see what the other 8 bloggers have created! 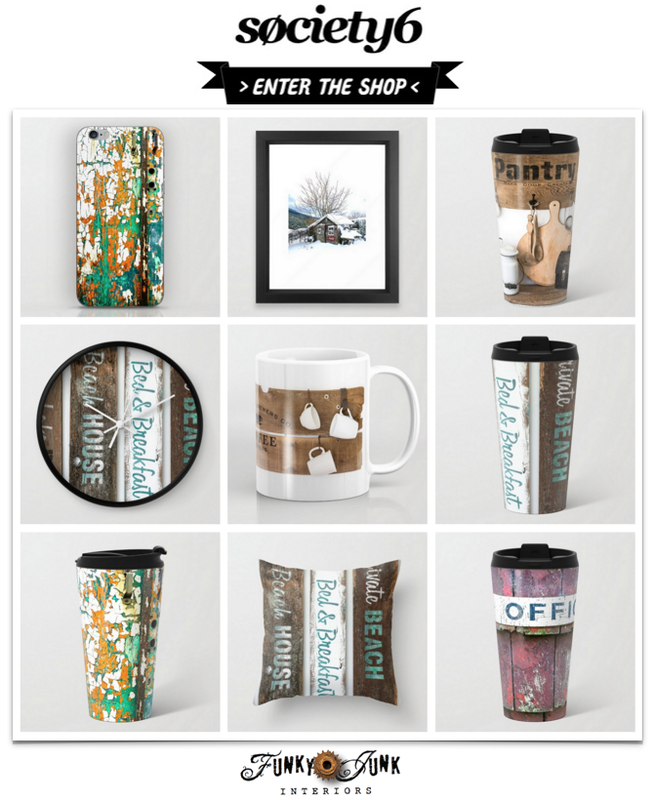 Your next stop… The Handmade Home! You always come up with the best projects Donna! Love, love, love, it all. I feel like a cast member of the Wizard of Oz — if only I had half the creative brain that you have! You never fail to amaze me with the stuff you come up with. I love, Love, LOVE that darn clock. (Lemme know if you ever get tired of it… I’ll be happy to send you my address!) Too bad we weren’t voting – I’d be casting my vote for it in a heartbeat! It really does bring a tear to my eye because I think I just lost this challenge. You win! Amazing, Donna! Wow wow wow! Although Donna’s is the most unique of anything I’ve seen (like most of her stuff – what a gift you have, Donna! ), honestly Beth, your tiny fairy condo idea was adorable and I loved how you used all sorts of found objects to create it. …was that a great run-on sentence or what? the clock!! Be still my beating heart! 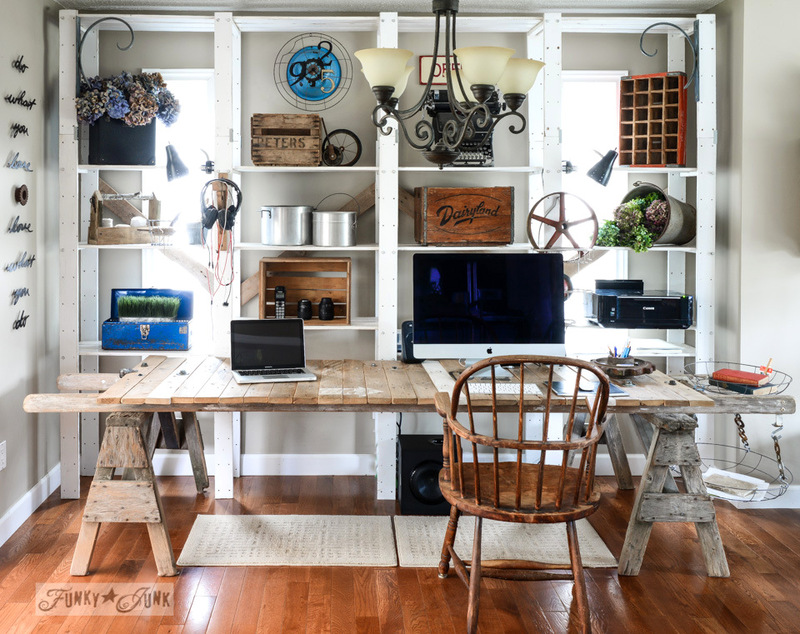 Love it all-but the paper holder is by far my favorite–LOVE! You were up to the challenge, Donna! Love the projects! This is so fun, Donna. I love the creative solution you came up with… as usual – love everything you do! I love, love, love the clock!!!!! Wow! Amazing ideas! My head is spinning 🙂 Thanks for the inspiration! 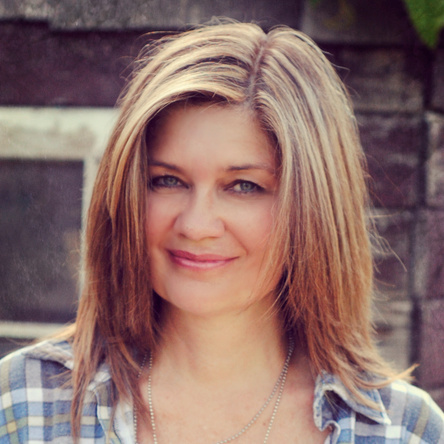 Donna, you are so creative in your Funky Junk style! Winner! Come to my house and make me something, I have plenty of junk! You are SOOOOOO clever and have the best pics! Love them 🙂 Nicely done !! Bravo, Donna! You really transformed your surprise items the most of the 9. 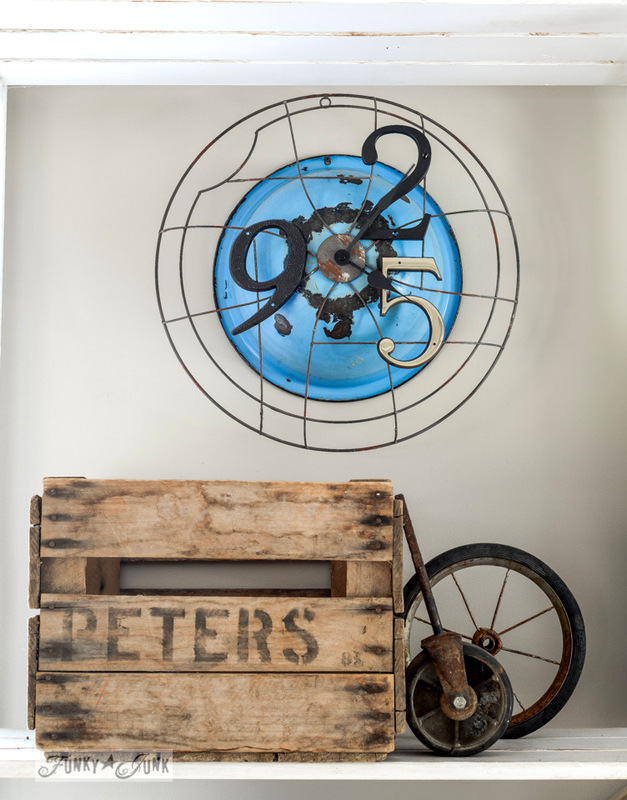 I love the blue clock – the bowl behind the fan makes it look like a globe. Very cool! 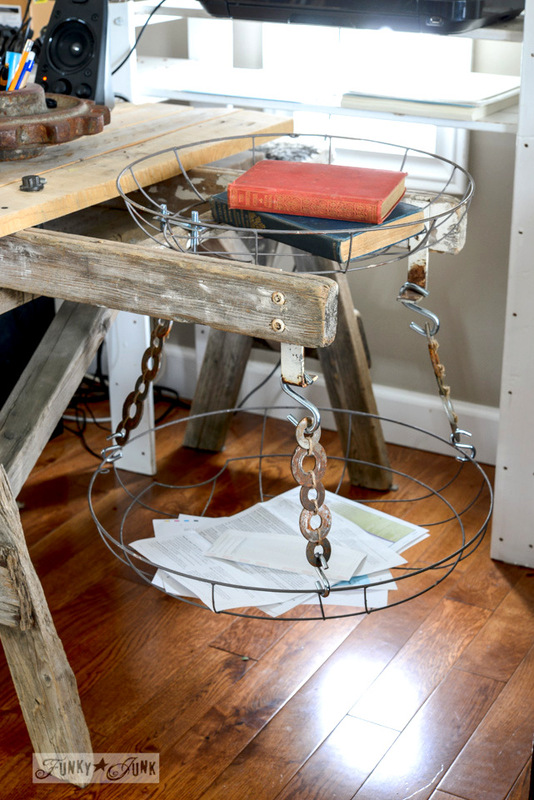 Clever use for the file baskets, too. Thanks for the fun!! Love this, Donna!! Your office is AWESOME!!! Great idea! 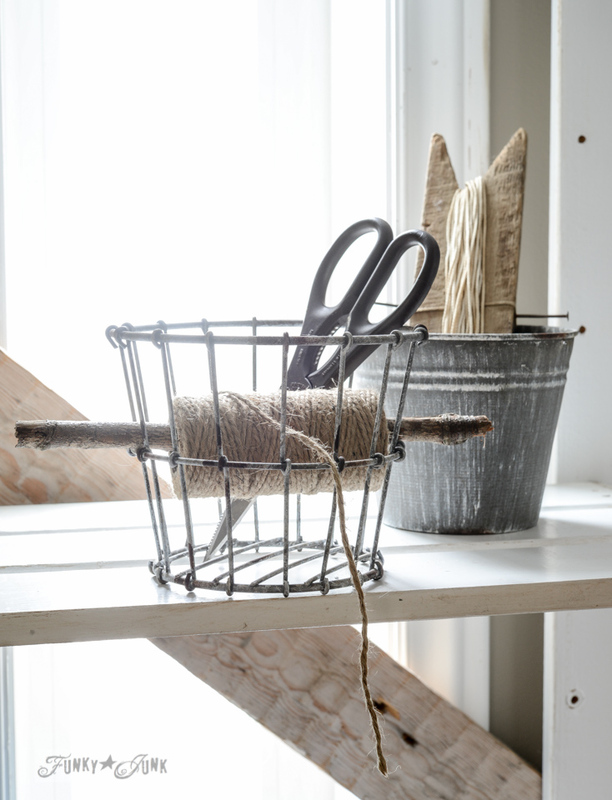 It’s like the baskets were meant to be there from the start – a perfect addition to your desk! Clever and functional! One of the coolest projects. WoW ! A two-pinner from this post. My twine is stuffed into a cabinet because it has no holder, it needs one, and my bills might look nice corralled in a hanging basket. No, not really. Bills don’t ever look nice do they? I’m unsure about a box of peters however.